Mutual Fund managers are like gardeners who use different techniques to ensure that the money entrusted to them by the investors, grow and blossom well. Investors may not know what such techniques are, but may be keen to get an overview of the methods applied to manage Mutual Fundss. 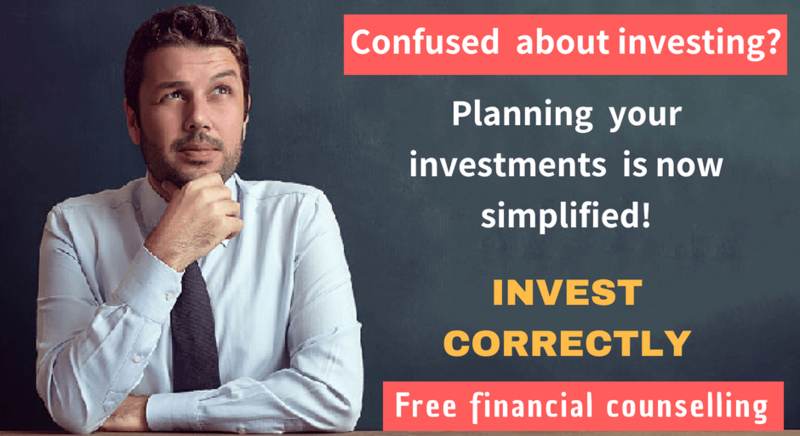 Let us take a look at two popular investment methods adopted by Mutual Fund managers – the top down investing method and the bottom up stock picking method. Basically these terms are associated with equity portfolio management and more specifically they are methods applied for picking up stocks from the market in a bid to maximize returns on investments. What is a Top Down approach? Mutual Fund managers are assigned the job of investing their funds in the best available equity shares. In doing so, they choose to carry out research on the available investment prospects in the market. What do the Mutual Fund managers following top-down approach, do? Mutual Fund managers who follow the top down approach seek to first study the global and domestic macro economic scenario before committing their funds. In simple terms this means that they analyze how the world economy is shaping up and what it could look like in the near and distant future. Top down managers also look at the various other factors, which might have an impact on the economy and this can include the political scenario, government policies and general global trends. Once this macro level analysis has been done, the Mutual Fund manager moves to more specific issues. He concentrates on analyzing the different sectors within the economy and zeros-in on those specific sectors that are likely to perform well under the prevailing economic conditions. Here is an example to explain this strategy. If the Mutual Fund manager feels that interest rates are likely to come down in the near future then they may seek those sectors that are most likely to benefit from this event. Automobile and Real Estate sectors are definitely going to benefit from lower interest rates and thus the Mutual Fund manager could go on to commit say 20% of his funds to each of these sectors. Once it has been decided that 40% of the funds are to be invested in the two specific sectors – automobile and real estate, the Mutual Fund manager will move to the next stage of the top down approach. Analysis of the specific companies is next carried out within these sectors. The manager could choose three or four companies in each sector and study the fundamentals and merits and relative valuations of each company individually. In essence a top down approach is about analyzing the economy, followed by the industry and then the company. The dictum that the top down manager follows is that a company will do well only if the economic factors are conducive to the growth and prosperity of the industry or sector in which it operates. Industries, which are cyclical in nature benefit from the top down approach as macroeconomic factors have a bearing on the companies within these industries. What is a Bottom Up approach? Unlike the top down approach, the bottom up approach is just the reverse. How Bottom Up managers approach their task? Those Mutual Fund managers who follow the bottom up approach seek to start their analysis from the bottom, i.e. from the level of the company and move up to the industry prospects and ultimately to the economic forecasts. Here the focus is more pronounced on the fundamentals of the company, their ability to cope under diverse economic conditions and the potential to build upon their growth prospects. It is wrong to assume that the bottom up manager ignores the macro economic factors; rather it is his approach that differs while analyzing the market. Once the company has been selected, the Mutual Fund manager will do a scenario analysis to determine how the company will fare under different economic conditions like interest rate change, change in tax laws, change in price of oil, etc. The bottom up stock picker zeros in on a particular company that appears to have good potential irrespective of the sector it belongs. The Mutual Fund manager’s base criteria for adding the stock of a particular company to his portfolio is the merits of the individual stock and his faith on its prospects.  Bottom up will yield positive results by picking stocks of the right companies.  Both will yield profit to the investors form the investments made. The bottom up research is more in-depth in nature and Mutual Fund managers need to perform extensive studies of individual companies to find out the best ones. 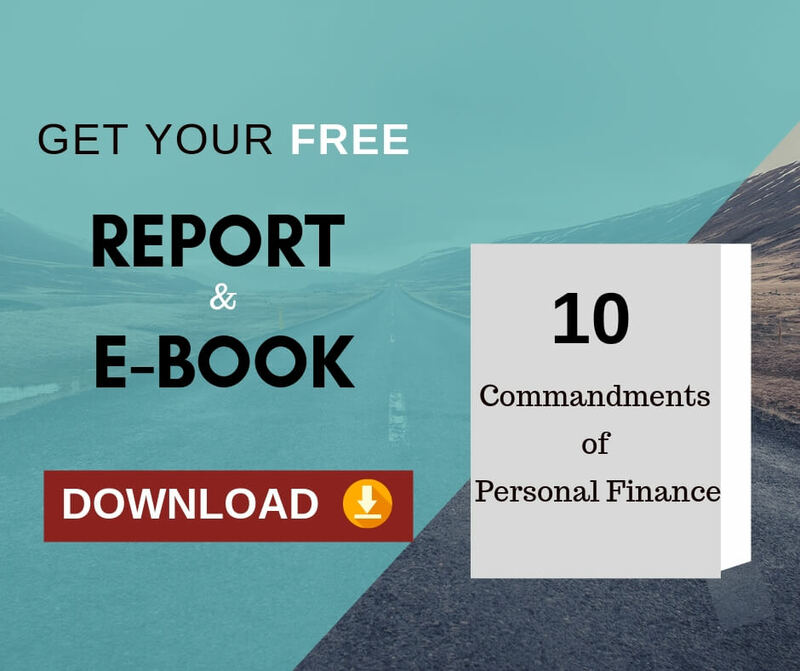 This strategy is adopted by those Mutual Fund managers who have substantial access to on-ground research resources so that the study is worthwhile and the correct decision can be arrived at. Global investors like the FIIs’ usually prefer the top down approach. This helps them to get their country specific allocations in place and then they can concentrate on specific sectors within the countries that they want to invest in. Besides the FIIs’, Mutual Fund managers who look to cash in on momentum choose the top down strategy for their investment decisions. Some economists feel that the top down approach is high risk-high return strategy as compared to bottom up strategy that is a more cautious approach. 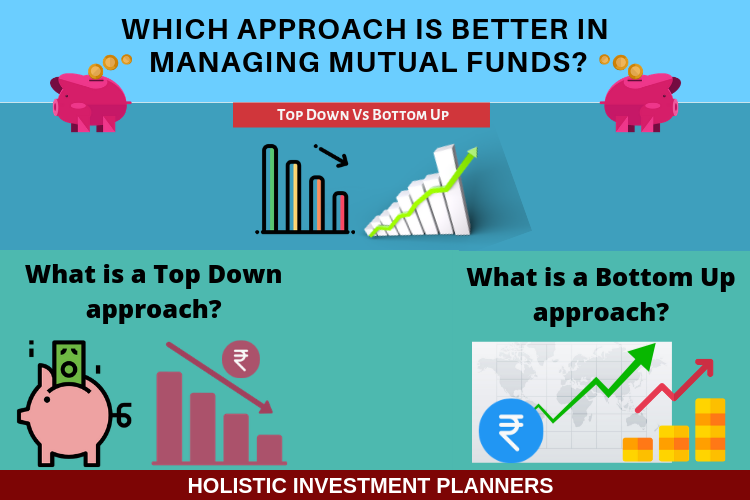 The actual working of the Mutual Fund manager is based on a judicious mix of top down and bottom up approach. The Mutual Fund manager’s decision to go in for bottom up strategy usually happens when he has sufficient research resources to back his study. Hope you got detailed information about top down and bottom-up approach. Which approach is better according to you? You can let us know through the comment box.